Business owners! You are invited to join us! Event guests can park in the Bomber Store Lot (white area on the map) as well as in the U Lot (red area on the map). 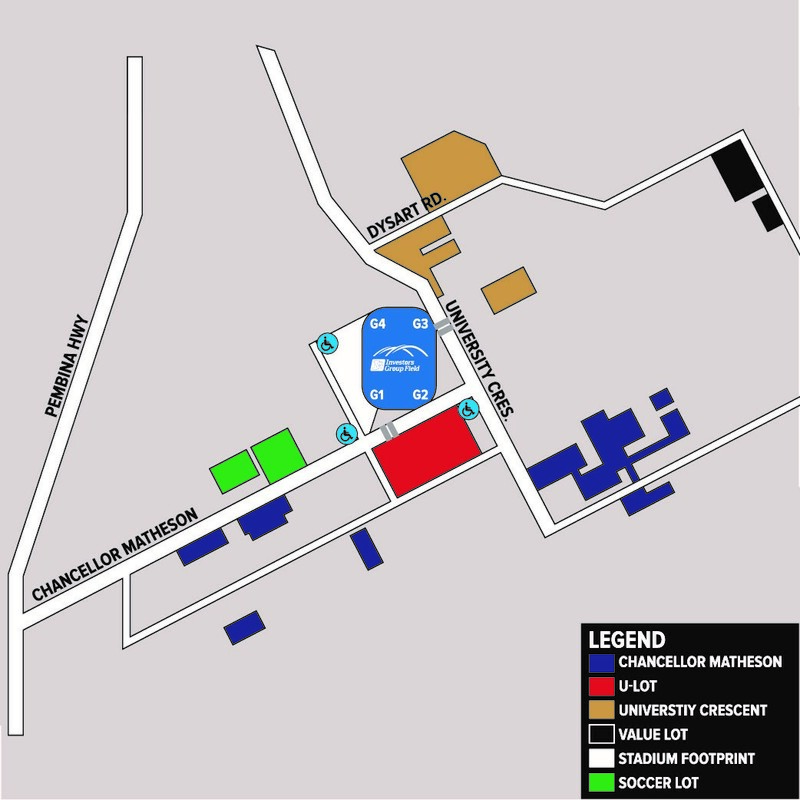 The point of entry is the side door at the Bomber Store entrance, which is at G1 on this map, and is labelled from the outside with “Bomber Store,” accessible from the white parking lot. There will also be directional signage up on the day of, and staff will be there to assist anyone who may have accessibility considerations. I am thrilled to co-host an evening of conversation for the businesses of South Pembina Hwy and Bridgwater Centre! In partnership with the Royal Bank and Winnipeg Chamber of Commerce, we’ve planned a very enjoyable and informative evening for the ‘economic engines’ of South Winnipeg! Mr. Obby Khan will speak about the expansion challenges and successes he faced growing his companies, Shawarma Khan and Green Carrot Juice. I’ll be presenting some quite spectacular information on South Winnipeg growth data, stats, demographics and development projects and Loren Remillard, President and CEO of the Winnipeg Chamber will be highlighting how the Chamber’s services can be leveraged to strengthen South Winnipeg businesses. As a former small business owner, I know we can grow business presence and bottom line by working together. Since elected I’ve been working with businesses along Pembina and in Bridgwater Centre to support business development and am pleased to co-host what will be a very informative an interesting evening! But space is limited, register ASAP!